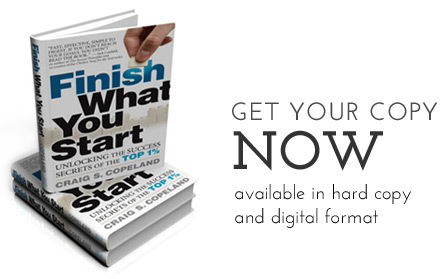 Are you someone who struggles to Finish What You Start? What keeps you from getting to the Finish Line? What holds you back? Better yet, at what point do you lose momentum and give up on your objective? In other words, are you stuck? Have you ever asked yourself why do we struggle? Every morning we wake up with the intent of becoming more successful than the previous day, to have a fuller, happier life, with all the benefits we see around us all the time. Each and every one of us wants the rewards and gifts life has to offer. But let’s be clear, this isn’t always the case.